Monday, February 12, 2018 by: Isabelle Z. (Natural News) With all the Frankenstein-like science that we’ve been seeing in recent years, it was only a matter of time before scientists found a way to create babies using three parents. Now, doctors in the UK have been given the green light to create three-parent babies. The country’s fertility regulator is allowing doctors at Newcastle Fertility Centre to create healthy embryos for two women who have a risk of passing on a genetic disease to their children. The identity of the women is protected by patient privacy laws, but they are said to have gene mutations that cause a rare condition called Merff syndrome, which worsens over time and can lead to early death. The procedure will be carried out using fertilized eggs made with standard IVF along with DNA from female donors. These women will undergo a radical IVF procedure known as mitochondrial donation. The procedure entails creating fertilized eggs with IVF, but instead of letting them develop into embryos, the parents’ chromosomes are then removed and put into a donor egg with its own genetic material removed. The resultant embryo has all of the chromosomes of the parents but the damaged mitochondria from the mother are replaced with healthy ones from the donor. Under normal circumstances, the mitochondria would have been passed from the mother to the child, who would have inherited the Merff mutation. It’s not the first time such a procedure will be carried out. Doctor John Zhang of New York carried out mitochondrial donation therapy on a woman who had Leigh syndrome, and she went on to successfully gave birth to a baby boy who did not inherit the deadly disorder. Zhang was forbidden by the FDA to perform the therapy in the United States, so he implanted the cell in Mexico. Designer babies the next step? While many can sympathize with the plight of women who fear their babies will be born with a fatal illness that could also seriously impact their quality of life, the technique is raising a lot of concerns about the possibility of “designer babies” being created one day. The practice has been condemned by the FDA, who said that as a procedure that modifies a human egg cell, it is both unethical and illegal. One big reason for their stance is that scientists cannot say for certain what impact this technique is going to have on the babies it is used to create, especially in the long term. In addition, two embryos are essentially destroyed in order to create the viable egg cell. Moreover, a study carried out by researchers from the Oregon Health and Science University showed that the procedure isn’t always effective. In tests that used the procedure in mice, the original mother’s mitochondria reasserted itself over time and essentially eliminated the donor mitochondria in 15 percent of cases. 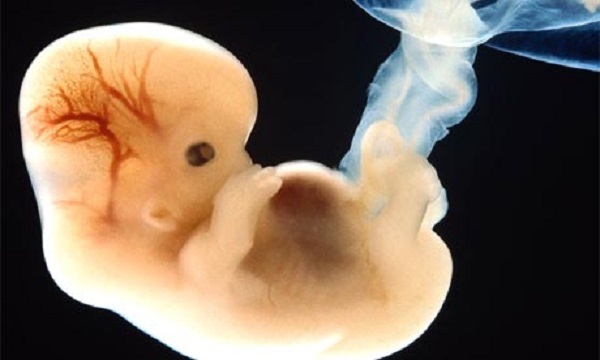 The researchers say it’s something that could happen at any point during the development of the fetus or even when the child produced by the procedure reaches adulthood. Other studies, meanwhile, indicate that if the mitochondrial and nuclear DNA do not recognize one another properly, it could lead to poor health and infertility, even when just 0.2 percent of the mitochondrial DNA has been changed. Interfering with nature in this way has backfired in the past, and it remains to be seen whether this turns out to be the great solution that some in the medical community seem to believe it is. See more examples of Medical Extremism at MedicalExtremism.com.